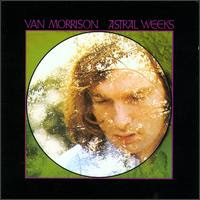 A few days ago, Livedaily.com posted an article indicating that the inimitable Van Morrison scheduled in early November two evening concerts at the Hollywood Bowl, where he will perform in its entirety his classic 1968 album Astral Weeks (released November 1968; see below). Apparently the performances will be recorded, to be released first as a vinyl album on Morrison’s new label, Listen to the Lion Records. If reports are correct, the vinyl LP of the Hollywood Bowl concerts will be released prior to Christmas this year, with a CD version following a couple of weeks later, in January. I envy those who will be there; while I will not, alas, be able to attend, out of curiosity I checked on-line for tickets this morning, and found that many good seats are still available. One of the greatest records of the 1960s, if not in the history of rock, Astral Weeks is listed as #19 in Rolling Stone’s 500 Greatest Albums of All Time, the complete list of which is available here; the specific entry on Astral Weeks is available over here. For those who have been following along with my project of listening to all the rock records of 1968 in the order (as best as I can determine) of release, I’ve gone ahead and posted the list for November 1968, in order to put Astral Weeks in its proper context. As it turns out, two albums released that month made Rolling Stone's "Top 500" list--The Beatles' "White Album" is also ranked very high (#10) on the magazine's list as well.